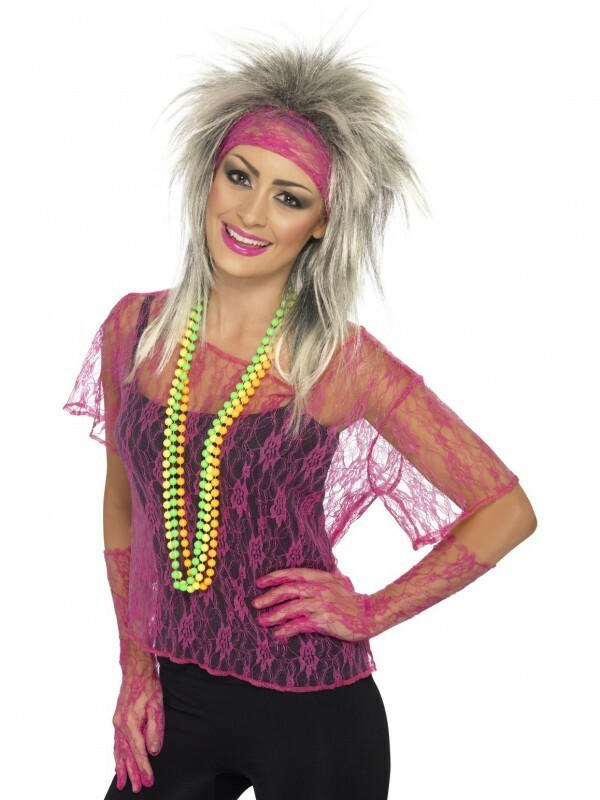 Whether the theme is rave, pop, or disco, this adult women's lace net vest fancy dress costume is perfect for all! The lace top comes in neon pink and features matching gloves and headband. Does not include any other items. For an oversized look this is best suited for a size 8-10.